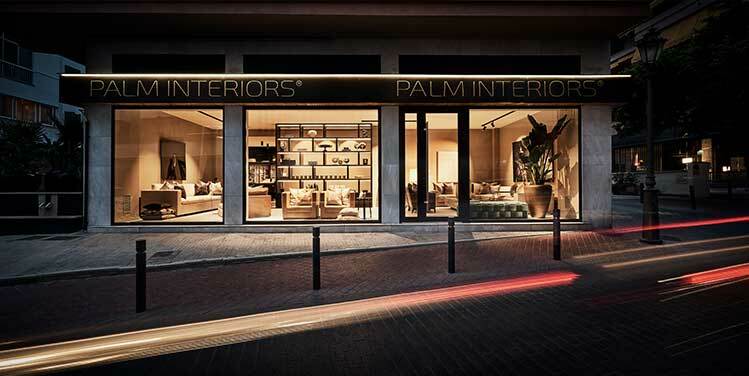 Palm Interiors has just open their doors in the beautiful historic center of Palma de Mallorca. Palm interiors is a design studio in the luxury furnishing sector. Organised on two floors the design studio also acts as a showroom for the Eric Kuster Collection. A byword for elegance and style, it stems from Roelof van der Veen’s living dream of a warm, harmonious, highly comfortable and sophisticated heaven. For more than 15 years Roelof van der Veen has provided complete interior design services to private individuals and property developers, including the biggest hotel chain in the Netherlands. From the conceptual phase through to supervising the execution. The Palm Interior design studio research impacts on the selection of all materials, colours and finishes involved in the fit-out, as well as on the design of the built-in or custom made furnishings; all of this is to ensure each design is unique and in keeping with the clients requirements. Palm Interiors is the premium reseller of the bespoke Eric Kuster Metropolitan Luxury collections. In the showroom you can experience the world of the Eric Kuster brand combined with a exposition with photo art made by Jimmy Nelson and contemporary art made by Emiel van der Beek and John Franzen. The finishing touch of the atmosphere created by Palm Interiors is the smell of a burning Cire Trudon candle or a room spray. You can experience a selection of the Cire Trudon candles and room sprays in the showroom.